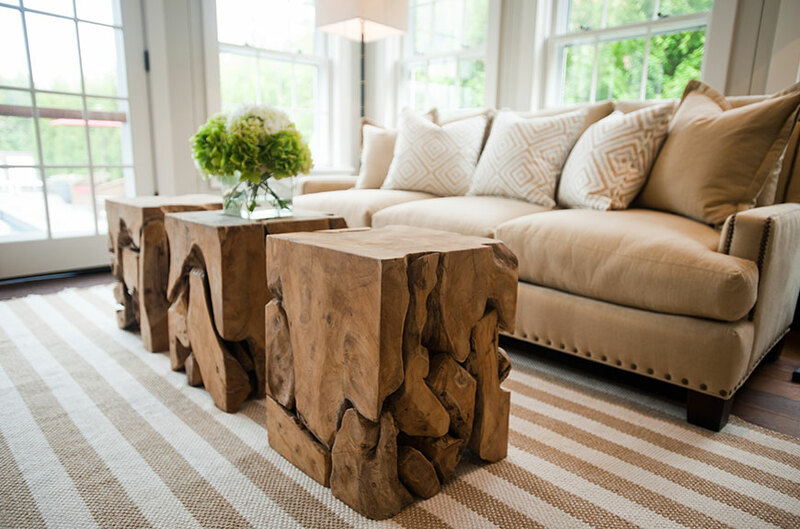 Nantucket Looms COO and lead designer Stephanie Hall and island-based design consultant Elisa Allen are no strangers to the business of staging a house to help sweeten a sale: every year, the two collaborate on at least two or three projects. 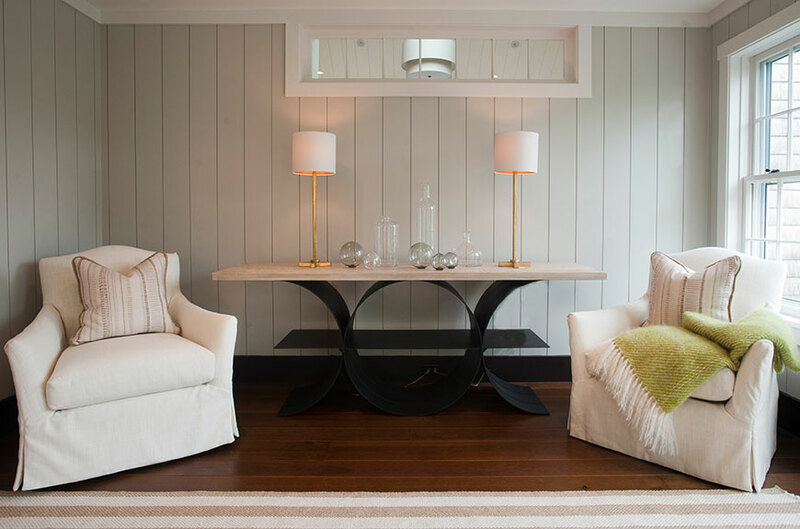 Their most recent, a 3500 square foot, newly constructed, five bedroom house on the outskirts of Nantucket Island’s revered historic district, speaks to the success of their signature style: not only did Hall and Allen help bring in a buyer within the month, but the new owners (who had purchased the property furnished) hired them to incorporate some of their own accent pieces to the exquisitely decorated interior. 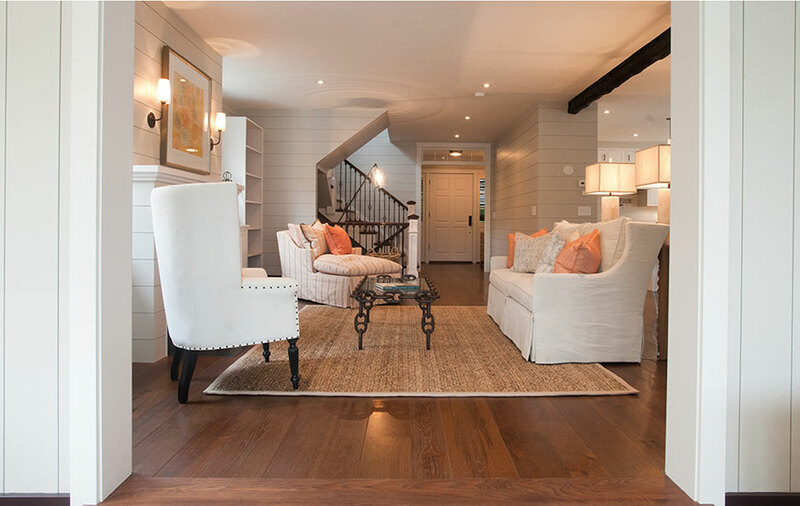 With the exception of the wall colors – which had already been determined when they came on board – the partners were pretty much given free rein by the broker/owner. The 12-week deadline was tight, but doable. 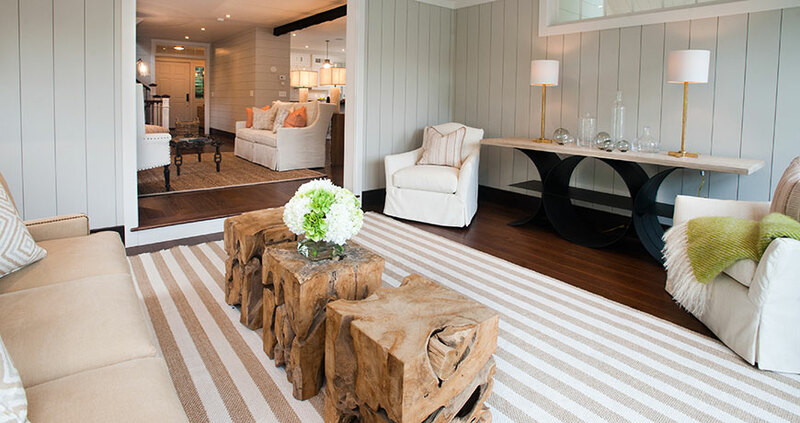 With a fireplace as the focal point in the living room, Hall and Allen started with a contemporary-style skirted sofa in a crisp white duck. They arranged a matching armchair with pewter nail head detailing and a cozy lounger in a subtle print around the coffee table. 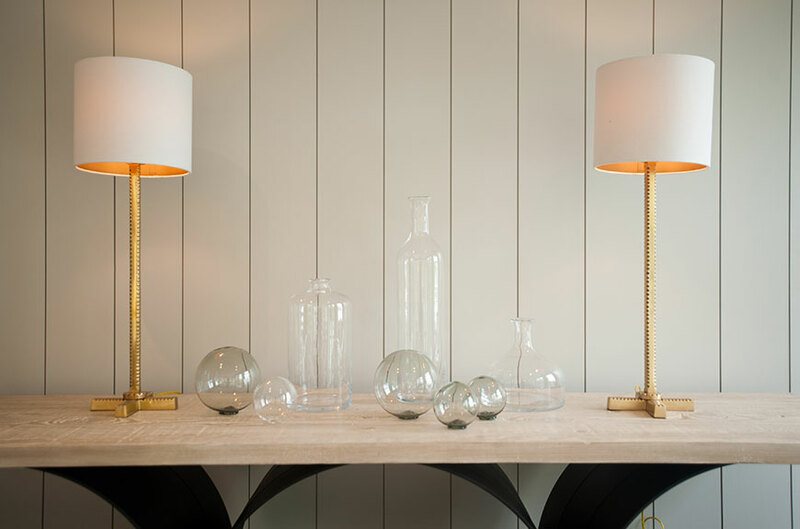 We love how the dark metal, chain-link base of the glass topped table picks up the rich baseboard color! Nantucket Looms is not only a gorgeous store and interior design hub, but they also weave their own throws and scarves in their second floor studio of their retail location! 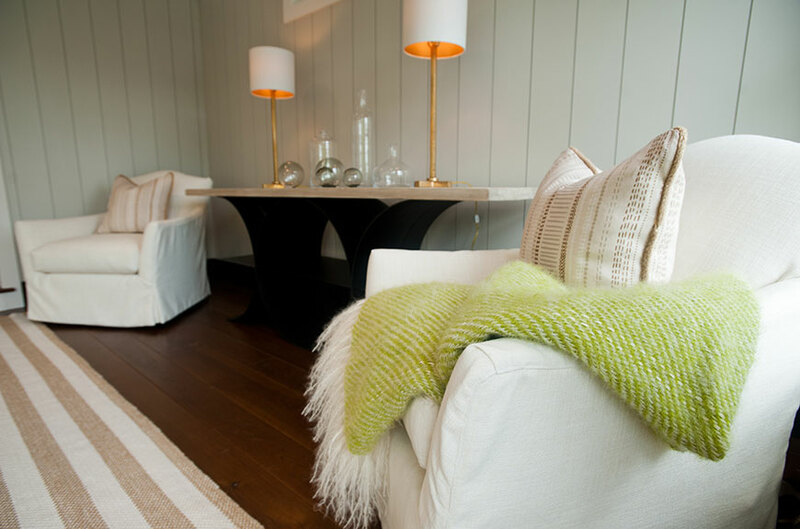 Click here to shop their beautiful handwoven creations, similar to the green throw above. 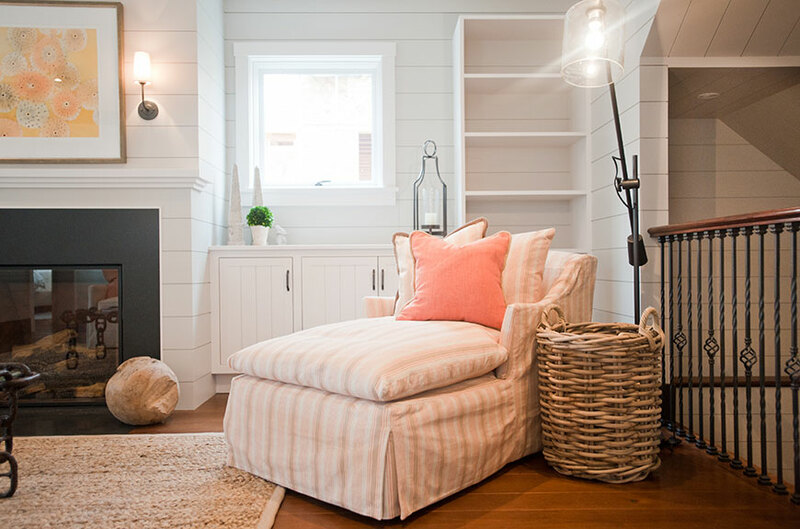 Lifestyle Retailer, Full-Service Interior Design & Custom Handweaving Inspired by the beauty and spirit of our beloved island, we believe in sharing the elegance of Nantucket cottage-style living with the world. With an affinity for the simple and lasting, for time-honored craftsmanship and one-of-a-kind artisanal goods, we make it easy for everyone to enjoy this special way of life. 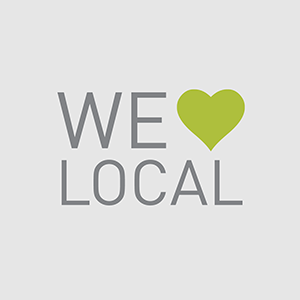 Our Main Street shop and online store feature fine home furnishings, clothing and accessories.